To better understand the oil and gas development process, the resources affected by development, and the potential for reducing impacts through BMPs, please see the following pages. We also have a growing list of Case Studies, which detail Best Management Practices in depth. 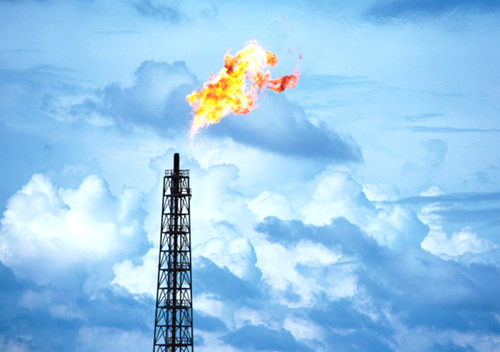 This section discusses the impacts of oil and gas development on air quality, and provides links to information on issues such as flaring, venting, methane production, and fugitive emissions. Additional information from state and federal agencies on air quality standards and monitoring is available, along with reports from non-profit organizations and regional air partnerships regarding monitoring techniques, development and technology. Fossil fuel extraction technology is continuing to improve, and oil and gas companies are now able to economically produce energy from places that weren't previously possible. 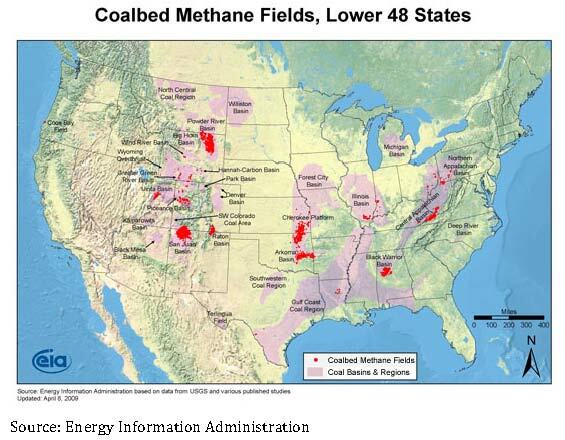 Coalbed methane (CBM) gas production, or production of unconventional natural gas resources from coal seams, may serve to take pressure off of conventional natural gas production, but it also comes with environmental challenges. This section provides an overview of CBM technology and its challenges, particularly produced water. 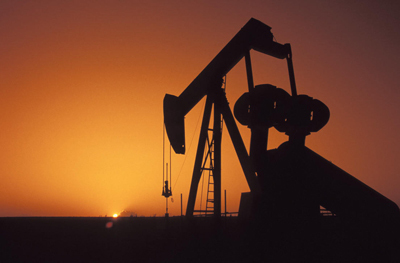 This section provides communities in Colorado, Utah, Montana, New Mexico, and Wyoming with several links to guides from government agencies, non-profit organizations and resource councils when planning for the potential impacts of oil and gas development. Mediation and facilitation resources, leasing information, regulatory bodies and relevant regulations are a few of the many resources offered to communities with oil and gas development. Central to effective regulation of any industry is the authority to set appropriate standards, to monitor regulated companies for compliance, to take action to ensure enforcement, and to repair the damage when the enforcement system fails. This section describes state and federal enforcement programs and highlights efforts of industry to develop and follow self-imposed standards. This section offers an overview of the oil and gas extraction processes including exploration, well development, production, and site abandonment with links to resources regarding legal and regulatory processes, technical descriptions, and virtual tours of well sites. This section tries to put the costs of using BMPs into perspective. 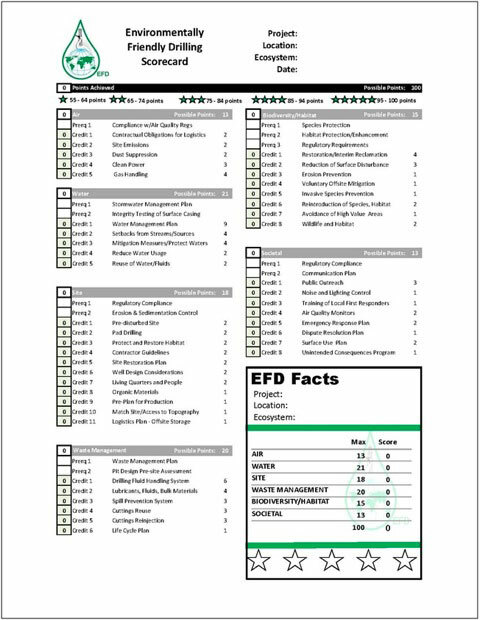 Neither this website nor the BMP database addresses the larger question of the value of environmentally friendly development weighed against societal costs and benefits of domestic oil and gas production and maintaining a healthy environment. Rather, the BMP project addresses the more limited question of the operators’ costs of development with and without BMPs. Geographic Information Systems (GIS) are used to analyze and display geospatial data and are powerful tools when examining the potential impacts of oil and gas development on local resources, such as water, vegetation, and wildlife. This section describes the basics of GIS and provides links to sample maps, interactive web-mapping applications, downloadable GIS data, and free/open source GIS software. The Independent Petroleum Association of America reports that over 90% of vertical and horizontal oil and gas wells nationwide now require some form of hydraulic fracturing. This section introduces the process of hydraulic fracturing as well as some of the controversies surrounding the process, and discusses the laws and regulations that are directly related to hydraulic fracturing. 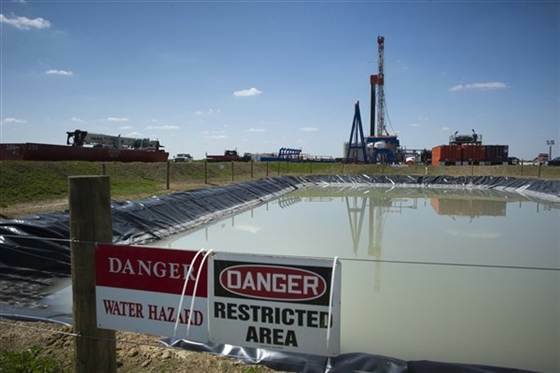 One unintended consequence of oil and gas wastewater disposal can be induced seismicity. This page provides basic information on earthquakes, how oil and gas development and other activities can induce them, how states regulate wastewater disposal, and how communities are affected by these manmade tremors. A Memorandum of Understanding (MOU) between an operator and a local government can facilitate development while better protecting the community and its environment. 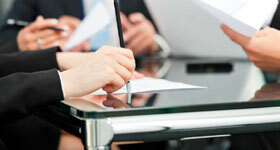 This page describes these agreements and what stakeholders have learned from negotiating them. the page also links to databases of MOUs and their BMPs. This section provides an overview of reclamation goals, links to regulatory bodies, contact information to regulatory authorities and resource documents explaining various methods implemented in the reclamation process. Almost half of the waste produced during drilling is solid waste, which must be disposed of in accordance with various laws and regulations of federal, state and local governments. This section addressed the four-step solid waste minimization hierarchy — source reduction, recycling/reuse, treatment, and disposal — as well as the different regulatory agencies and criteria for managing solid waste. Oil and gas development can significantly alter natural vegetation, creating soil erosion, soil pollution, deforestation, and habitat loss. This page describes the problems associated with oil and gas development on natural vegetation, providing links to state and federal laws, plant field guides and resources, and organizations and contacts for additional information on native plants and habitats. Hydraulic fracturing, storm-water runoff and pollution from pits are a few water quality issues associated with oil and gas development. This section discusses the concerns over each issue as well as fact sheets, studies, and best management practices. Additional information is provided on state water rights, pollution prevention guides, and water quality standards for Colorado, New Mexico, Wyoming, Montana, and Utah. 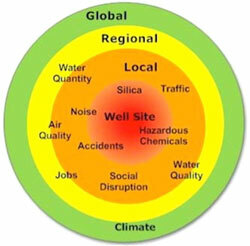 Water is unavoidable in every phase of oil and gas development. Varying quantities and qualities of water are both produced and used during development. 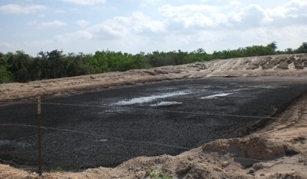 This section discusses the various classifications of water and water rights, the ways in which water is used during the lifecycle of an oil or gas well, the challenges and opportunities surrounding disposal or reuse of produced water, and the local, state, and federal water conservation issues shaping management practices. Additional information includes state by state regulations and links to the state agencies shaping water quantity policy concerning oil and gas development. The protection and restoration of wildlife habitat is a complex issue that requires state, federal, and local governments to cooperate along with industry, conservation groups, and interested citizens. This section offers a detailed look at the impacts of oil and gas development on wildlife with links to several state agencies, research centers, conservations groups, and reports on game, fish and other sensitive species. This section features in depth articles on community and industry experiences with Best Management Practices as practiced in the field. This page provides links to websites of project partners and to other sites that provide information on best management practices for oil and gas development in the Intermountain West. The Acronyms list includes all acronyms used in the BMP database and website and other commonly used acronyms related to oil and gas development. Click on the link for each acronym for a definition or example of the terms.